Libya - IOM Libya’s Displacement Tracking Matrix (DTM) has released its fourth Flow Monitoring Analytical report, which reveals that Libya remains the main country of intended destination for 56 percent of all migrants surveyed, with Italy, Germany and France being other notable destinations for 17 percent, 7 percent and 5 percent of respondents respectively. The report presents the results of surveys conducted with 1,946 migrants across nine Flow Monitoring points across Libya. While the vast majority (81-83 percent) of migrants from Egypt, Chad and Sudan intend to stay in Libya, those from Nigeria were more varied in their responses, with only 16 percent reporting an intention to stay in the country. Forty-three percent intend to continue travelling to Italy, 12 percent to Germany, and the remaining 29 percent to a variety of other countries. The demographic profile of migrants surveyed in this round was consistent with that obtained in previous rounds: migrants tend to be in their 20s (the average age was 29), male (98 percent), and from countries bordering Libya: Niger, Egypt and Sudan. Migrants from Nigeria were the fourth most represented group in this sample, making up 10 percent of the total population. Respondents from Egypt and Sudan tended to have higher levels of education than most, with 57 percent of migrants from Sudan indicating that they have secondary, vocational or postgraduate education. Similarly, a third of Egyptian respondents had vocational education, and 3 percent had postgraduate education. However, only 21 percent of all respondents had been employed or self-employed in their country of origin. While 88 percent of all respondents reported economic reasons as the main factor driving them to leave their countries of origin, the results reported by migrants from Sudan were notably more varied. Thirty percent of Sudanese respondents reported leaving due to limited access to basic services, 16 percent reported having left due to war, and 5 percent due to limited access to humanitarian services. Economic reasons were also the main drivers determining migrants’ choice of destination. Respondents who intend to go to France, however, also reported the presence of their relatives in country, or their intention to seek asylum in France, as other notable factors influencing their decision. The surveys, which took place between September and October this year, shed light on the length of time governing the mobility patterns of those in Libya. 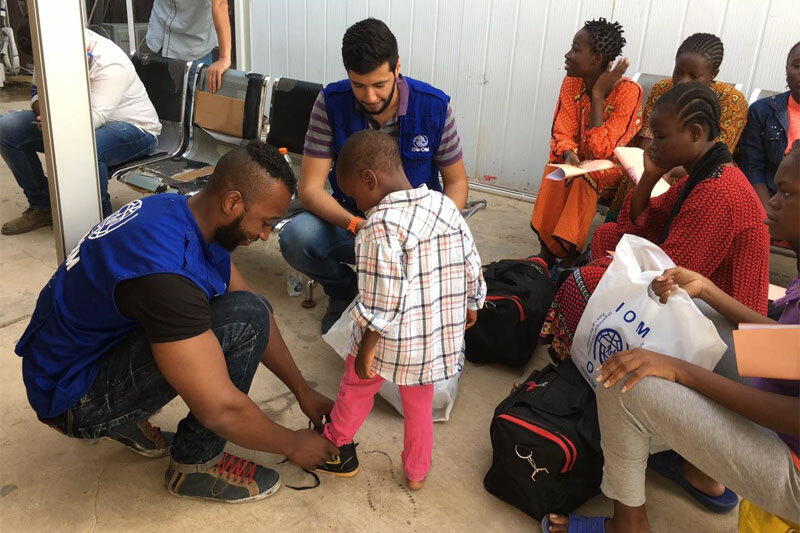 Seventy-four percent of respondents had spent over 6 months in the country, as compared to the more recent arrivals: only 4 percent having come within the last two weeks, and 11 percent who came to Libya between 2 weeks and 3 months ago. This is the latest in a series of monthly analytical reports produced by DTM Libya that report on the socio-economic backgrounds, nationalities, demographics, and decision-making factors of migrants who are currently in Libya. By interviewing migrants directly, the reports highlight the complex and varied nature of migratory patterns and mobility trajectories of those who travel to the country. Flow Monitoring captures information on migrants to monitor and understand the trend of movements and population flows in specific locations within a particular time period. DTM Libya’s Flow Monitoring aims to collect and update information on the movement of migrants in Libya, to provide an accurate and timely overview of the migration flows in the country.